For university communicators, it is important to get faculty engaged and on board with the school’s PR program. The problem is that many professors aren’t necessarily comfortable communicating their research and knowledge through social media and the traditional press. Hence, university communicators need to offer a first-class media training service. Communicators should re-evaluate how they go about media training at their school. If your institution doesn’t offer this, it is time to start thinking about doing so. Imagine if just 20 percent more of your faculty are effectively connecting with new audiences by conducting great media interviews, leveraging social media, writing Op Eds, and facilitating discussions through blogging? If your institution does conduct media trainings, perhaps now is the time to re-evaluate the format and think about enhancing this service. From my experiences and observations, typical media trainings involve a PR professional or journalist addressing a group of individuals in a room. That session lasts about an hour or two. Then in a follow-up session, a few of the individuals in the room are put in front of a camera or mock interview set up. The rest of the participants observe how the interviewee performs. The exercise is followed by a dialogue between the group and instructor. Afterwards, everyone goes their merry way with the assumption that they are either media trained and ready to go on primetime TV or petrified and never wanting to speak with a journalist. There is value to this process and any form of solid training is better than nothing at all. However, what percentage of the professors taking part in this type of training leave the room and then take part in an interview the next day? For most, I assume the answer is very few. Usually, the media opportunities don’t come up until a few weeks or months down the road. For these individuals, how much of the information can they retain from a one-off course conducted a few months back? For me, the answer would be very little. That’s probably the case for many professors as well. There is a reason we are told not to cram for an exam the night before, but rather to study regularly over an extended period of time. These one-off media trainings often have the feel of cramming for the exam, only there is no hard deadline. Once you have done one really good video on a topic, you have that available for any professor. So while it will take you time to do such a video, it will ultimately save you time once deployed. You have the potential to scale training at your institution. 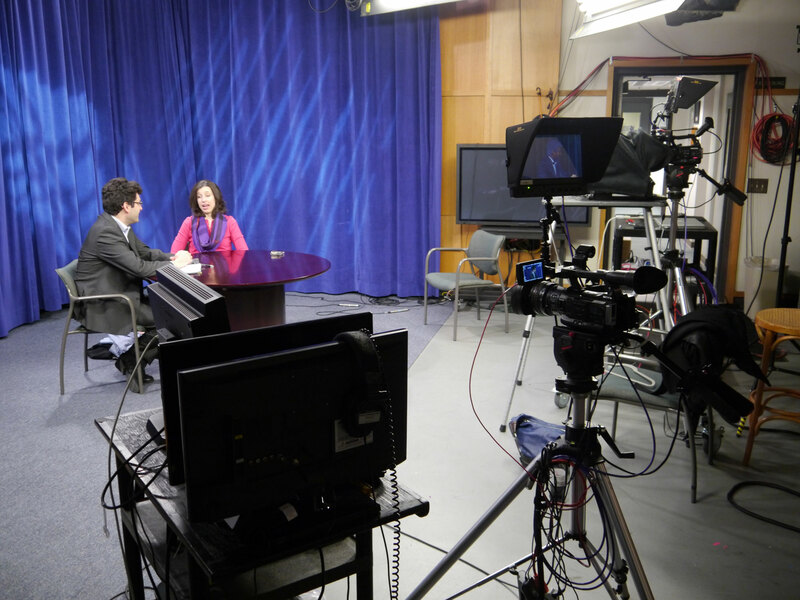 Odds are that if you conduct a live media training session at 11:00 am on Tuesday during the school year, the majority of professors won’t take part because they are either in the classroom teaching, researching or in meetings. With an online learning component, professors can get trained when and where they want. You have the possibility to “flip the classroom” for live training. So for example, before professors come to your in-person training, encourage them to watch a few of your different videos trainings in advance. Then maximize your time in person to discuss the videos or jump right into mock interviews. It will make you feel more versed and confident as a university communications professional. Any content creator knows that one of the add-on benefits of writing about your craft is that it makes you more knowledgeable. It is one thing to think you know about a particular subject. Articulating that in a short video, blog post or podcast takes the learning to another level. With online course creation and curriculum development, this is even more the case. Ultimately, this will give you more confidence in mobilizing professors to be ambassadors for your brand. Kevin Anselmo is the creator of Media Training for Academics, a program that helps professors, researchers and PhD candidates, and their respective institutions, reap the benefits of external communications.